Today I'm kicking off the week with my first Runner Spotlight interview and, wow, do we have an amazing first interviewee! The Runner Spotlight is something new on my blog that came about because I love to meet new people and, of course, talk running. What better way to get to know other runners than to throw a bunch of questions at them! 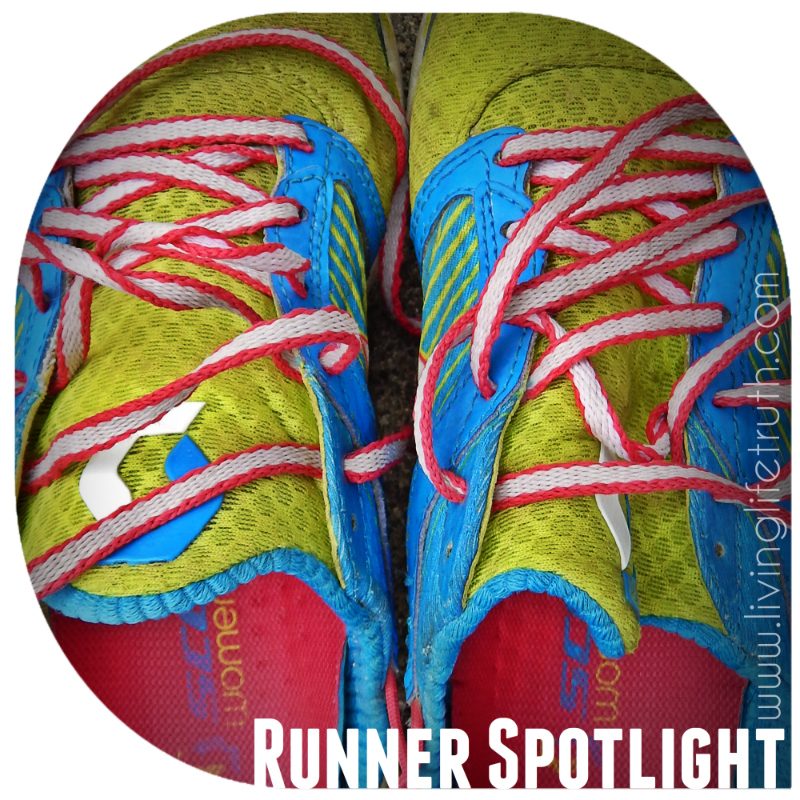 Twice a month, a new runner will be featured on the Runner Spotlight. Through these interviews, we will meet and learn from runners of all distances, paces and food preferences. Let me introduce you to Angie. She's a marathoner, ULTRA-marathoner, running coach and RN - along with being a wife and mom of 3. Angie and her husband, Trevor, have changed my life though they may not even realize it! Back in 2010, I decided to run my first marathon on a whim. I had run a few 5k's and a 10k before but had no idea how to train for a full marathon. I found Angie and Trevor's podcasts on their website, the Marathon Training Academy, and found a training plan there as well. With their coaching, I completed the marathon and actually liked it! So much that I am running marathon #7 next Spring. They are all about educating, inspiring and encouraging. It's awesome. Enough of my talk, let's hear from Angie herself. I started running in high school because my best friend and I were always trying to lose weight. I ran off and on during my teens and early 20's but didn't get serious about long distance running until 2007. I signed up for my first 5k during the fall of 2007 and was extremely nervous. I was sure that everyone there would be able to tell that I wasn't a "real" runner (whatever that is). I was pleasantly surprised to find that there were lots of "normal" people there and I discovered that I had a competitive side. I ran my first marathon in April 2008 and fell in love with that distance. That first marathon was a bit rough but I've gone on to run 35 marathons and 3 ultra-marathons as well as lots of shorter races. I'm self-coached and am actually a running coach myself (which may not be the best combination). However, I'm self-motivated when it comes to running and fitness activities so it has worked well up to this point. I run anywhere from 25-60 miles depending on what I'm training for. It's very important to find that balance between doing easy and hard runs. I find that many people tend to run most of their training runs too fast which doesn't leave adequate time for recovery. Finding that balance between running and focused cross training is also very important for success in distance running. I really haven't kept up with any PR's other than in the marathon. My marathon PR is 3:35:41 (2012). I don't know if I could narrow it down to just one race...there have been so many amazing race experiences. Some of the highlights include running the Marine Corps Marathon in 2014 with my sister, qualifying for Boston at the Foot Traffic Flat Marathon in 2014 and running the Boston Marathon in 2015. I am always super hungry post race so food tastes amazing. Having a good burger, fries and ice cream has to rank right up there in my favorite post-marathon foods. We have three boys ages 11, 8 and 5. 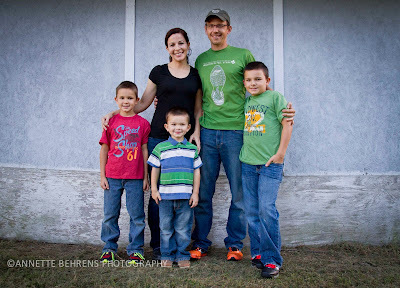 My husband is also a runner but my kids really haven't developed a love of running (yet). They enjoy going to races with us and the older two have participated in a 5k and some kid's races. I do my running early in the morning, usually before anyone else is up so that most of my training is "invisible." I find that running and fitness in general makes me a more energetic and positive person so that definitely benefits my family. But I also go to bed early so that I can get up easier in the morning. Running happens early in the morning so that I can get back home and get the kids ready for school. I do fit in strength training and yoga classes during the week at times that work well with my schedule. What advice would you give to new runners and/or parents trying to balance running and family life? It's all about finding a routine that works well for you and that may end up changing over time. In general, most people find that running in the morning is the best way to avoid it getting pushed aside for other things. But don't feel guilty about taking time for yourself to exercise. It's going to make you a healthier person both physically and in your relationships. Thank you, Angie, for taking the time to talk with us and for inspiring so many to take on their first marathon. If you want to check a ND or MN marathon off your "50 state quest", you are always welcome in our neck of the woods - seriously! Check out the Marathon Training Academy's website and Facebook page! I like listening to Angie and Trevor's podcasts so it was great to read this post to learn more about Angie. Thanks for sharing! They are awesome, aren't they!? Thanks for stopping by, Tina! Great and informative interview Amy. That is so great that you've already run 6 marathons - that's an awesome running accomplishment. I'd be proud to just run one! Thank you! Having great marathon resources has been so helpful in my marathon journey. Every race is a learning experience! Wow that's a serious marathon PR! Great interview especially since she's an ultrarunner. I love hearing other's journeys, too! 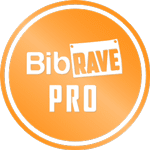 The community in blogging and running is so supportive and encouraging!